As a long-time creator and facilitator of serious gaming for business – simulations, in other words – I have seen first-hand, time after time, how serious gaming provides organizations with an opportunity to shift company culture, and start to create teams where once there were silos. The dramatically different leadership needs emerging from DevOps gave us an idea, that GamingWorks would develop a business simulation game based on The Phoenix Project, a ‘DevOps novel’ driven by the need of its protagonist to solve major end-to-end issues in 90 days – or his whole department will be outsourced. We had a particularly interesting Phoenix Project simulation session with Microsoft on behalf of one of their major clients, mapped to the DASA competences. You can read about the specifics of that session in part 3 of this blog. You may also want to read Paul’s White Paper Active Learning Delivering Business Value showing how the Phoenix Project simulation supports the DASA DevOps Competence Model. The simulation is played in a number of game rounds allowing the team the opportunity to continually experiment, reflect, learn and improve. Developing ‘Continual learning and improvement’ skills. The Phoenix Project simulation aligned with the DASA DevOps Competence Model. At GamingWorks, our experiences using the Phoenix Project simulation with more than 400 organizations has revealed a strong need for changing leadership skills and styles. To find out more, I also asked experts Rob England, a consultant and commentator on DevOps, and Dave van Herpen, Principal Consultant High Performance Transformations at Quint Wellington Redwood, who are both facilitators of the Phoenix Project simulation, about their experiences. …some managers naturally step up to take control in the early rounds of the game and it takes several rounds for them to learn the harm they are doing by centralizing the process on a whiteboard, by creating a bottleneck, and by disempowering the rest of the team. …along similar lines listening skills are not always great. I take the opportunity to point out when somebody suggested something quietly in an early round and was not heard. …not all managers are leaders and not all leaders are managers. The people who actually take the lead in the game are not necessarily those in management positions. …first, and foremost, (Leaders) truly demonstrate a clear understanding of the fundamental principles and value of creating a high-performance organization. In the past years, I have seen lots of fake DevOps change, where leaders throw a new label (DevOps, continuous delivery, cloud-native architecture) at their teams, but fail to provide true autonomy, not reinforcing innovative and courageous behavior. …in addition, great leaders encourage consistent measurement of value. Value of the transformation itself (including the desired behavior), but also of the delivery and continuous improvement of products and services. …the best leaders demonstrate stamina and perseverance. Real DevOps change, especially for larger enterprises, causes pain. Some managers will sabotage change, as their role safety is related to the status quo. Behaviors need to change, from both managers and professionals. This takes time, it’s not just flipping the switch. Any leader can tell a compelling story about creating end-to-end delivery teams, but it takes a strong back to live by it in rough times. Moving critical operations work to cross-functional teams always brings corporate tension. Great leaders don’t allow themselves falling back to old behaviors by re-instigating controls. Managers who don’t show the correct leadership skills and behaviors can stifle feedback and experimentation at an early stage in team development. People may not speak up when they are ignored or not listened to – ‘why bother’? An important concept in many DevOps teams is ‘1:3, 3:1’ – 1 person should be able to perform 3 team tasks, and 3 people in a team should be able to perform the same tasks. This is not just for technical skills, but also for the soft skills like ‘facilitating a stand-up or retrospective.’ Jan Schilt published an article on this on DevOps.com: 5 Team Skills That Make DevOps a Success. ‘Build culture’, ‘Create purpose’, ‘Be a Servant Leader’ and ‘Focus on Success’. Are you ready to be a servant leader, and learn how to take on such key mindsets and activities as ‘Give control to the team’, ‘Inspire and Support the team’ and ‘Make a leadership manifesto’? Then you’re ready to take on DASA DevOps Professional – Enable and Scale , and to emerge with a qualification that makes you fit to lead in the era of Digital Transformation, and DevOps. Paul Wilkinson is the CEO of GamingWorks and has aligned his Phoenix Project Simulation to the DASA DevOps Competence Model. Find out more about the DASA training and certification programs, starting with DASA DevOps Fundamentals. GamingWorks is a DASA Forerunner member and Paul Wilkinson is a DASA Global Ambassador. DASA Ambassadors are charged with raising the profile and awareness of DASA, the DevOps Agile Skills Association; to this end GamingWorks has conducted a series of Phoenix Project business simulation workshops around the world, based on Gene Kim’s book The Phoenix Project to show the value of simulations in supporting the DASA DevOps Competence Model. 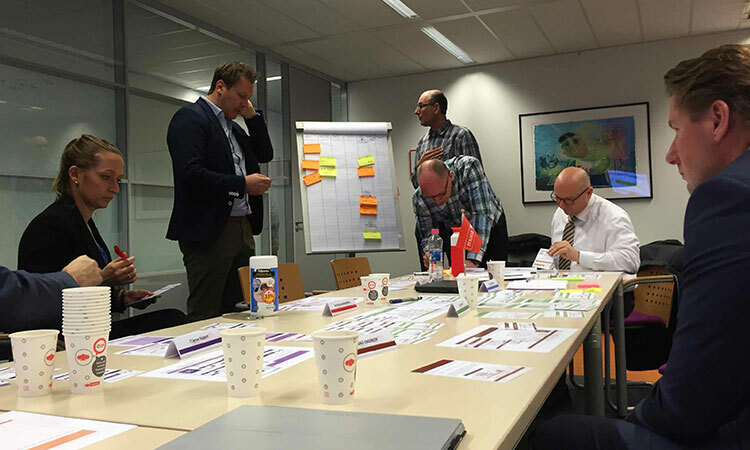 GamingWorks simulations help delegates translate theory into practice, and enable DevOps teams to experiment together, developing their own DevOps skills and competences. See the Active Learning Delivering Business Value white paper showing how the Phoenix Project simulation supports the DASA DevOps Competence Model.